Ex-MR 4-4-0 2P No 40511 pilots British Railways built 2-6-0 4MT No 43017 running tender first through the station on 26th April 1958. 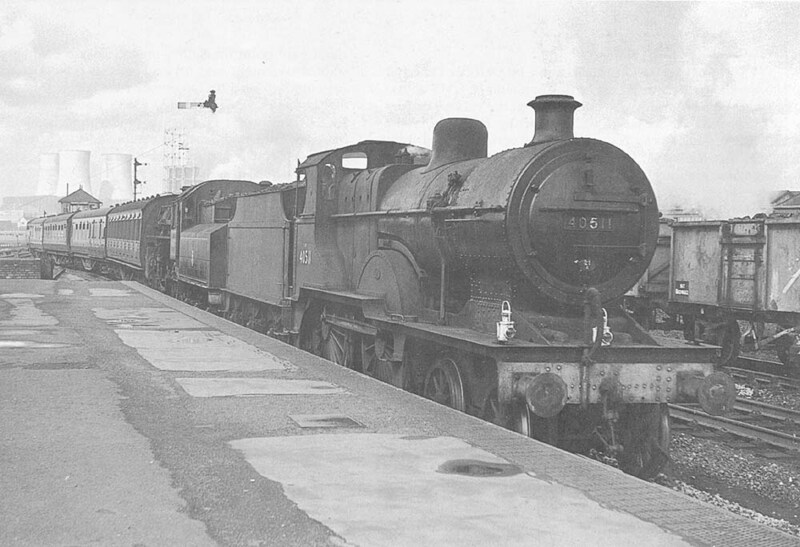 The 2P was a member of the MR's 483 class and was built by Sharp Stewart in November 1899 and was to remain in service until January 1961 when it was withdrawn from 18A Toton shed. Whilst built to an LMS standard design Ivatt No 43017 was built by Horwich works after nationalisation and had a relatively short working life being withdrawn in November 1967 from 12D Workington shed.